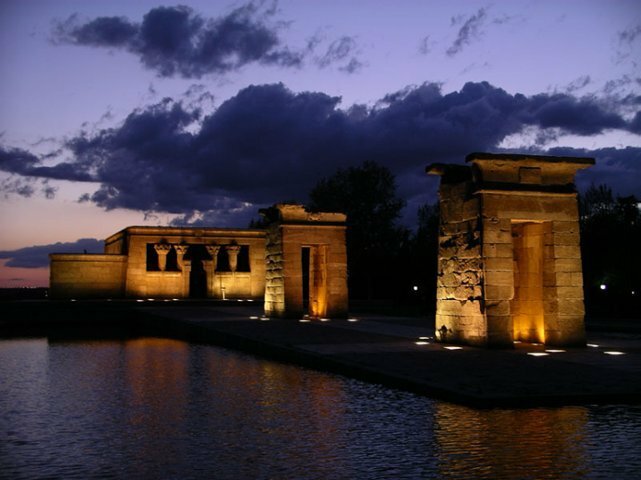 Amun's Temple, built in Debod, is a Nubian temple of Ancient Egypt dating from the II century BC, dedicated to the Egyptian god, Amun. In 1954, Egypt decided to built the Aswan High Dam, which would lead to the creation of a huge artificial lake covering the Upper Nile Valley, from Aswan in Egypt to Dal Cataract in Sudan. This region, known since Antiquity under the name of Nubia, possesses great cultural wealth. The Egyptian and Sudanese governments appealed to UNESCO for help in order to save these sites. A vast international campaign to safeguard the monuments in Nubia was then organized. Many sites were dismantled to be rebuilt elsewhere. To express its gratitude towards the countries which contributed to the success of the campaign, Egypt donated four temples: Taffeh in the Netherlands (Rijksmuseum van Oudheden de Leiden), Dendur in the United States (Metropolitan Museum in New York), Ellesyia in Italia (Museo Egizio in Turin) and Debod in Spain (Parque del Oeste, Madrid). 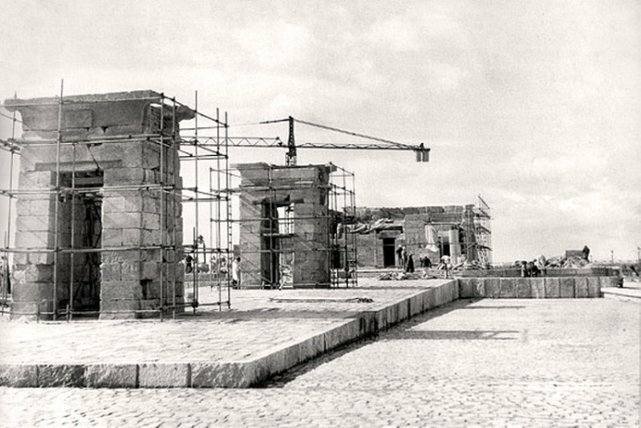 The reconstruction of the Temple of Debod, offered by Egypt in 1968, was completed in 1972.